I’ve been wrestling all weekend with the setup of a new training lab environment for my Citrix XenApp 5 certification studying. To quickly built my Citrix servers, I disabled the Windows firewall and run the developed scripts to auto install all prerequisites and the Citrix components. Everything seemed to be installing without problems and I quickly had my test environment up and running ….. at least so I thought. When I tried to start a published application through the Web Interface I was presented with a vague error and a event log stating the XML service was too busy. Unfortunately for me, this was bad news, as it showed a load of 200% (or 20000) on my XenApp server, which excluded it from the available server pool for my application. According to CTX111964 – Load Manager Values Explained a license mismatch was causing the error. As all suggestions found so far failed to solve my problem, I found a remark regarding the installation of the Terminal Server role by dsearcy112. 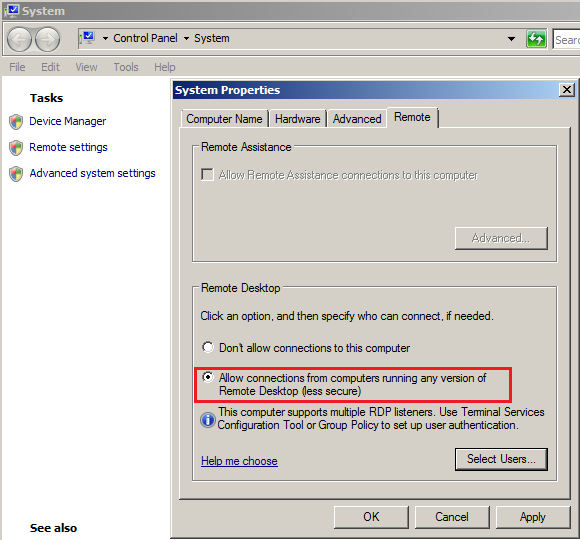 It stated that the Terminal Server role was not correctly installed if the Windows Firewall was disabled. I did disable that firewall as I figured it would allow me to quickly set up my environment without having to take different acces rules into account. So I decided to just try this one as well, uninstalled the Terminal Server role, rebooted the server, enabled the Windows Firewall, installed the Terminal Server role and checked again. So ensure that Windows firewall is turned on when you install the Terminal Server or you might just get some unexpected results. 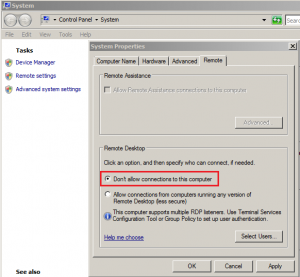 Check those Remote Desktop connection settings! If you do not want to re-install the Terminal Server role, you can manually check the Remote Desktop connection settings. My second server had the same problem after running my scripts with the firewall turned on. 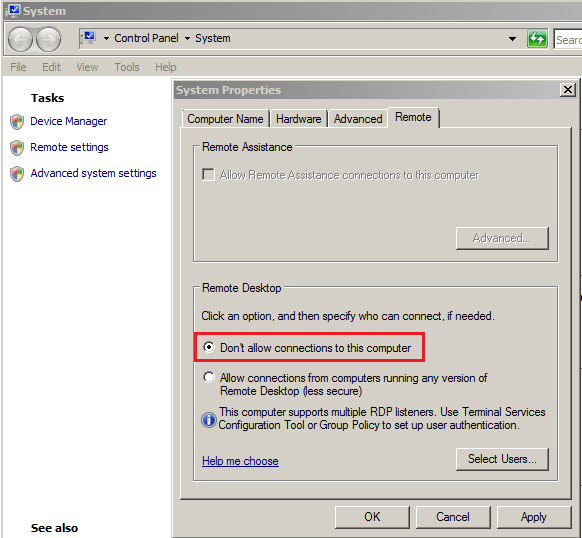 I checked my Remote Desktop connection settings and discovered it was turned off. After turning it on, the load evaluator for my server, dropped to 100% and after a few seconds dropped even further down, back to 0%. No reboot or re-installation were required, as the manual change made windows add the required firewall rule to the system. This is due to a build in dependency in the installation routine in the Windows 2008. While setting the Terminal Server role someone at Microsoft made an assumption, using a WMI – Firewall call, and doesn’t handle the error well. Olav, thank you for providing me with the additional information and KB article. With my scripted install no error was shown, so this helps in understanding why.